"In the journal I do not just express myself more openly than I could to any person; I create myself." 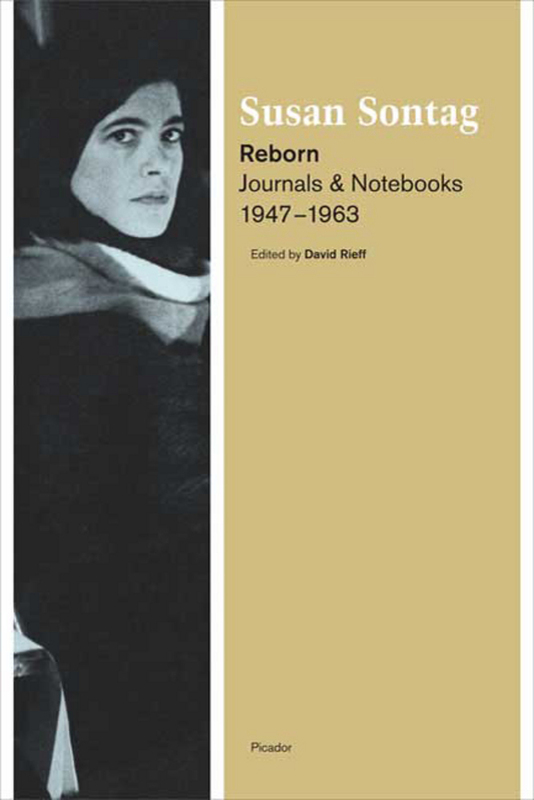 The first of three volumes of Susan Sontag's journals and notebooks, Reborn (1947-1963) reveals one of the most important thinkers and writers of the twentieth century, fully engaged in the act of self-invention. Beginning with a voracious and prodigious fourteen-year-old, Reborn ends as Sontag, age thirty, is finally living in New York as a published writer. SUSAN SONTAG immediately became a major figure of our culture with the publication in 1966 of the pathbreaking collection of essays Against Interpretation. She went on to write four novels, including the National Book Award-winning In America, as well as a collection of stories, several plays, and seven works of nonfiction. She died in New York City on December 28, 2004.